Today I was reading my friend Rae's blog Say it Ain't So, and was inspired to tell my own junk related story. 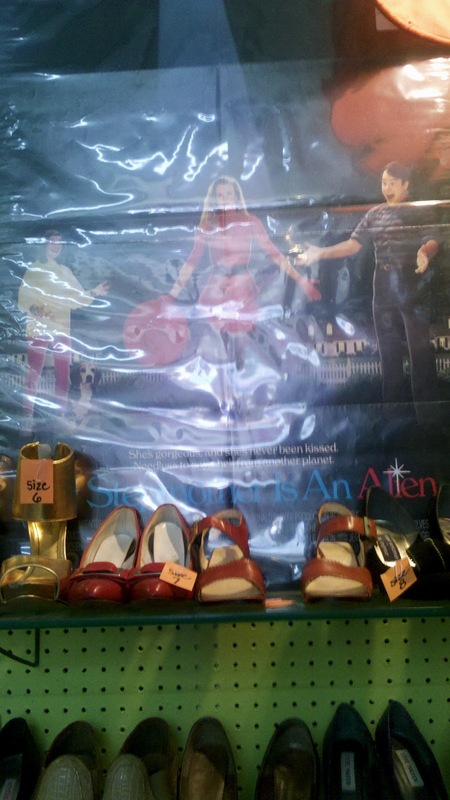 [Tangent: I love her blog, because I like to live vicariously through her passion of acquiring really cool things at estate sales and Goodwill. 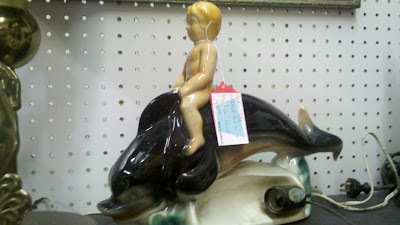 "Junking" is one of my favorite things to do, but Rae takes thrifting to a new XTREME level. Somehow, she finds amazing things (and not just naked barbie dolls with chewed on feet or pleated jorts.)] Last week, I went somewhere that I drive by on a weekly basis and always wanna go inside. Just the pepto pink exterior and swank window dressings of Pre to Post Modern on 8th Ave across from Zanies always catches my eye. I finally decided I was gonna carpe the diem and go inside with my ginger, who as previously stated loves old stuff as much as I do. 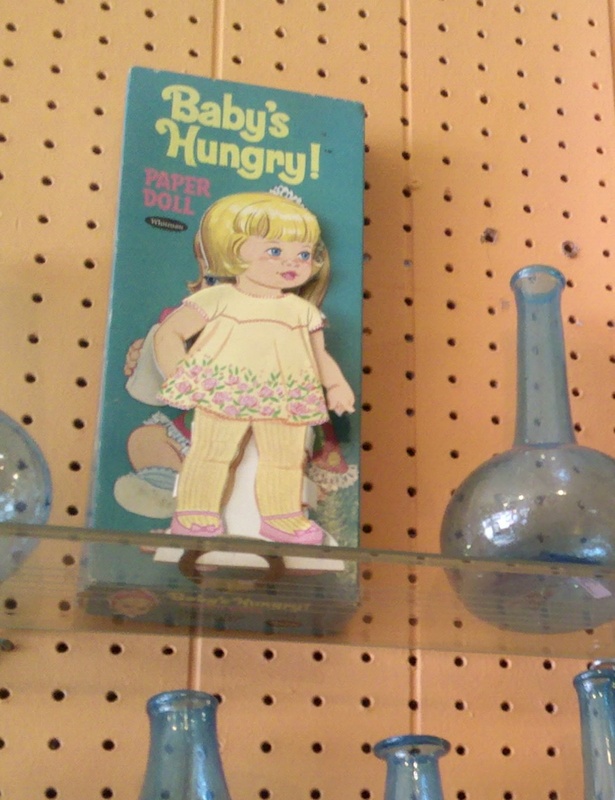 There was a lot of awesome to be found and it was all presented really magically...especially if you consider vintage glassware with all the McDonaldland characters (especially Mayor McCheese) magical. Unlike my adventures in flea marketing, I thought ahead and dazzle you with some of the high points. 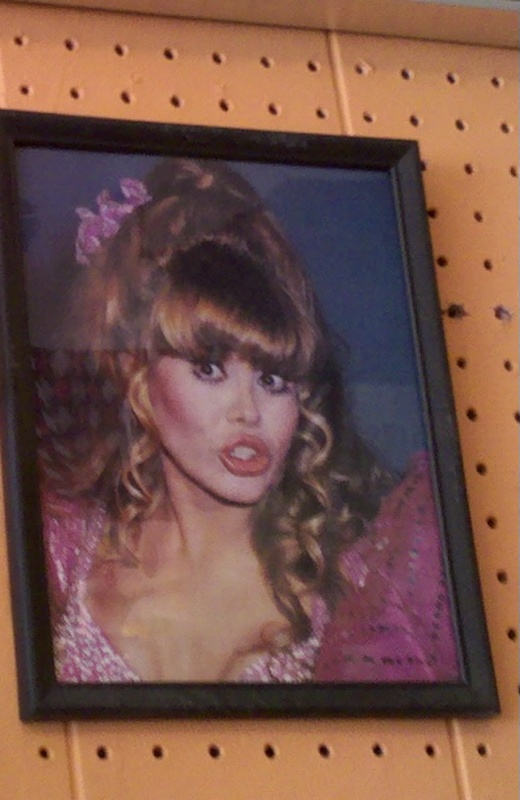 I not so secretly still want this disturbing Charo photo...who wouldn't? 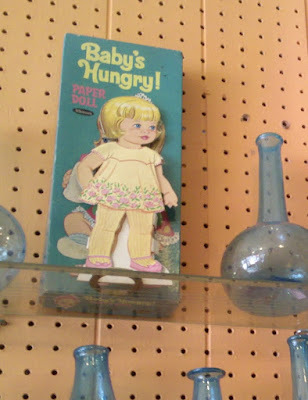 these paper dolls were adjacent to the Charo pic...and equally creepy. $12 was a little steep, but to have a poster of the Dan Akroyd classic(?) My Stepmother's an Alien would be pretty sweet. 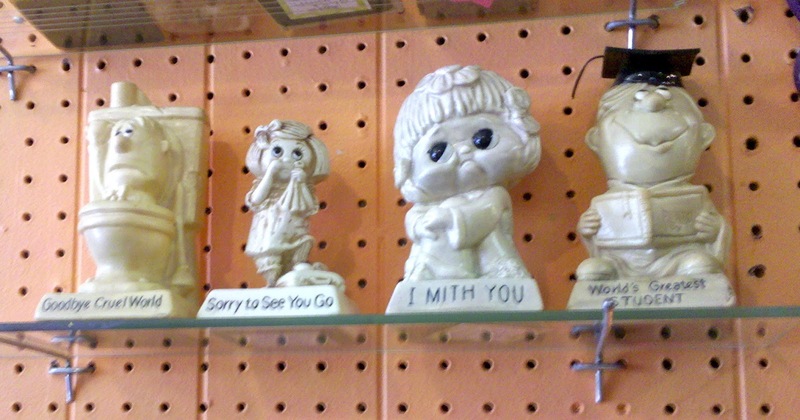 statues of obese children with bulging eyes and speech impediments- adorable. my boyfriend was obsessed with this...but who wouldn't be? Unfortunately, due to my own poverty, I left empty handed, but fear not candy colored vintage emporium, this is not the last you have seen of Kimmie. ooooo i loooooooove that place!! but now that i've found so much stuff for a buck at estate sales i always balk at their prices. but at christmas! last year i probably spent 60 bucks on vaintage christmas crap there! i'm so glad i could inspire you to visit such a lovely place. 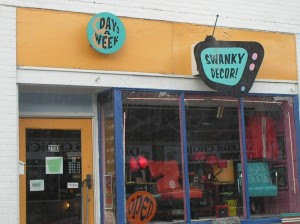 I want that "Swanky Decor!" sign in a big way.